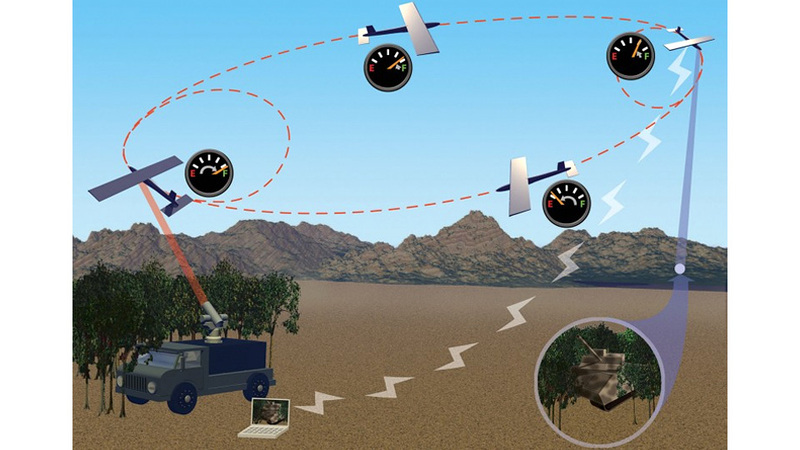 Working with wireless power specialists LaserMotive, Lockheed Martin has successfully completed preliminary tests of a new laser refuelling system that extends the flight time of its Stalker unmanned aerial drone to over 48 hours. That not only represents about a 2400 per cent increase in flight duration, but the system also doesn't require another aircraft to deliver the fuel boost. Instead, ground-based lasers — from a mobile vehicle or stable delivery platform — simply target the craft's solar cells while it circles overhead.